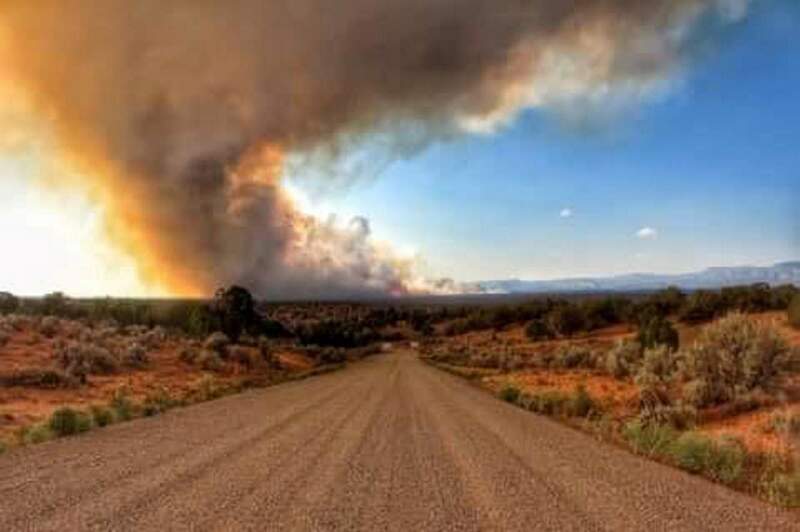 The Bull Draw Fire, northwest of Nucla. The BLM has started Stage 1 fire restrictions in Montrose, San Miguel, Ouray, Gunnison and Delta counties. The Bureau of Land Management on Friday implemented Stage 1 fire restrictions on lands managed by the Uncompahgre field office within Montrose, San Miguel, Ouray, Gunnison and Delta counties. Building, maintaining, attending or using a fire, campfire or stove fire. Exceptions are petroleum-fueled stoves, lanterns or heating devices, as well as fires in permanent fire pits or fire grates within developed recreation sites.Smoking, except in an enclosed vehicle or building, in a developed recreation site or while stopped in an area at least 3 feet in diameter that is barren or cleared of all flammable material.The use of fireworks, flares or other incendiary devices, including exploding targets, are always prohibited on federal lands.Exemptions include authorized activities of any federal, state or local officer or member of an organized rescue or firefighting effort in the performance of an official duty. Holders of valid BLM permits, leases and authorizations are allowed to conduct approved activities.